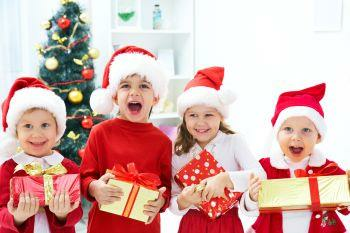 People often think of rattles, fot toys, or other such cliche’ gift while deciding to gift something to a baby. There was a time when we did not have much options, but now we do. A number of things on the market are specifically designed to cater to the delicate needs of a baby. They are not only entertaining for the baby but also help in their physical and mental growth allowing them to understand things in a faster and easier way. Here are some ideas that can be productive, functional, affordable, and at the same time, the baby will love them. Babies often tend to scratch themselves over the face or the body. And since they haven’t learnt how to control their arms yet, it is very difficult to tell them not to. This is where mittens are of great use. They protect the sensitive skin from scratches which might lead to rashes or in some rare cases, bleeding. Medline Infant Mittens are soft 100 percent cotton mittens which help to prevent infants from scratching their delicate skin. They come in assorted pastel colors - yellow, aqua, pink and blue and are fitted with a comfortable, elastic and decorative bow at the wrist. They look elegant on the baby’s hands and are also highly safe in terms of their material. Though it sounds like a gift you would give to an adult, it is actually the perfect gift for babies who like to move around a lot. Sometimes it become necessary for the parent to take the baby along wherever they go, especially for working parents. And so making the pram, stroller, or the car seat comfortable is an important aspect in maintaining the baby’s safety as well as comfort. Lambskin liners such as the Baby Irish Lambskin Liner For Car Seats or Buggies lines perfectly along the seat to give the baby a cozy seating experience throughout the journey. Frangrant essential oils are something that even adults desire. Baby Oils are designed keeping the sensitive skin of the baby in mind. They are easily absorbed by the skin and begin their work immediately. They moisturize the skin and help in preventing rashes and cuts. The high mineral and vitamin content nourishes the skin to its fullest. Using essential oils for gently massaging the baby’s body has been done since the ancient times and is proven by medical science even today. It helps strengthen the limbs and also improves blood circulation. The Freshscent Baby Oil makes the skin feel fresh and smooth and also functions perfectly as a moisturizer. It can be used on all skin types. Babies tend to sleep wherever they start feeling tired or dizzy and it is often futile to tell babies what to do. But there is also a harm in letting the baby sleep on the floor as the cold or the heat from the floor can affect the babies health. Not only while sleeping but also while sitting or playing on the floor. Plus the hard surface can cause injuries. Sheepsking rugs come to your rescue. They are simple yet effecient in nature. 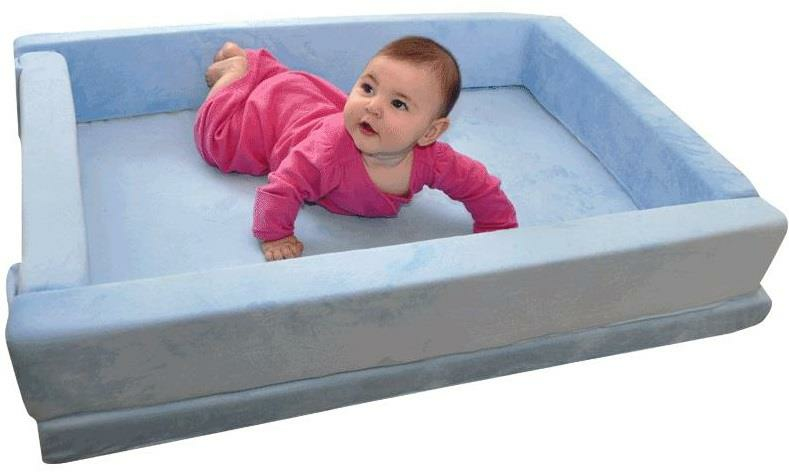 With a soft and comfortable surface they allow the baby to move around freely on a cozy layer. They are so comfortable that babies seldom get off them to wander back on to the floor. The Baby Irish Sheepskin Polar Bear Rug provides beautiful warmth and comfort so that babies settle easier, are more content and cry less. It gives a soothing, swaddling, cozy warm effect. 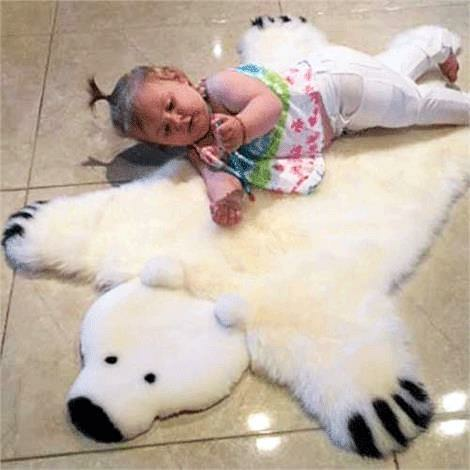 Polar bear sheepskin rug for baby is gentle to the skin. Whats better than a ball to give to a baby? But then a simple ball would not be such a great gift, would it? So here comes Rib-it-Ball. It is made with the highest contrasting color that is perfect for children with low vision. The unique, patented ribs on ball make it easy to grab even for the smallest of hands. Children will have hours of fun while improving balance and motor skills. 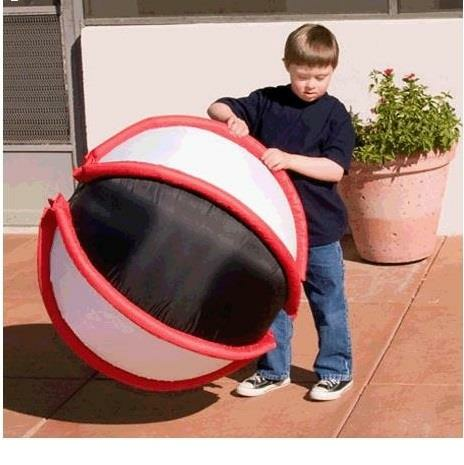 It comes with a unique material within its ribs that naturally makes noise and enhances auditory awareness every time the ball is touched or thrown. 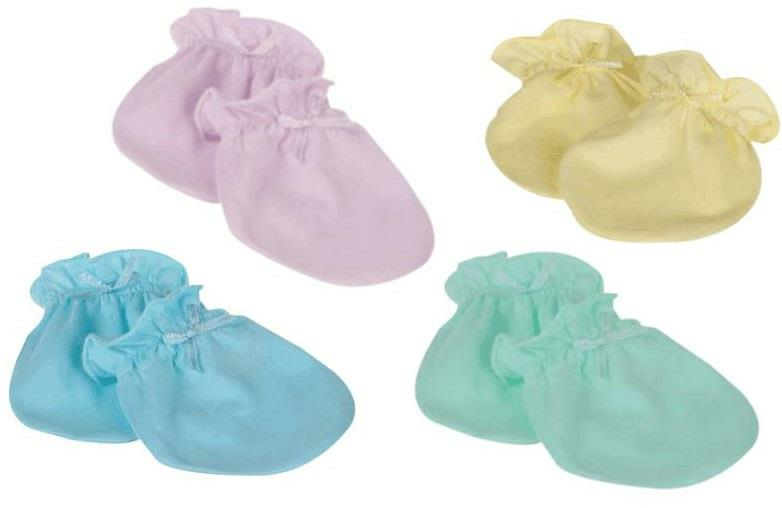 Unlike the footmuffs adults wear, footmuffs for babies are designed in a way that suits their movement and their leg size. They are shaped like a cove for the baby to gently insert their legs in and sit comfortbly whether in a chair, a couch, or in a stroller. The Baby Irish Lambskin Footmuff is used to cover the feet or legs of a baby to keep them warm. It offers the baby versatile comfort all year round with soft lambskin inside and water resistant fabric outside. 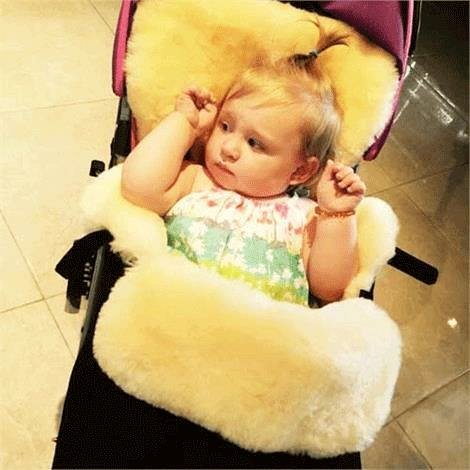 A footmuff usually attaches through the harness of a stroller, pushchair, or travel system. Portable nappers are a fine choice for babies that tend to be highly active at all times of the day and do not follow a schedule while napping. The portable napper can be easily stored under bed and can be set up alomst anywhere. 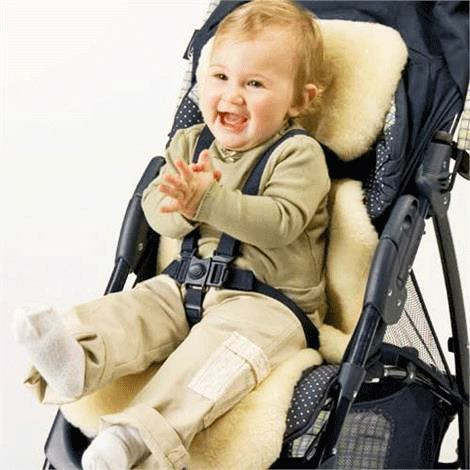 The Skil-Care Portable Cozy Napper has portable baby crawl area and is intended for infants until they can crawl. This napper features soft barriers to limit crawl space. It is portable and easily carried to the area where the parent is working and provides a very comfortable area for Tummy Time, sleeping or for the awake infant when they are engaged in other activities.